Computer Zone® can provide all of your IT/Telecommunications needs by providing an integrated solution. How many times have you called your hardware vendor for a solution, who blamed it on the software vendor...so you call the software vendor and he blames it on the hardware vendor? Sound familiar? Are you tired of juggling multiple quotes from several companies to complete all of your organization's needs? Contact us today for your one stop solutions center. Through our unique and strategic network of engineers and technicians...we can provide ANY Computer, Network, Integration, or Security Solution for your home or organization. "We Deliver Solutions." If you need technicians onsite in a moments notice anywhere in the Oklahoma City Metro, call us today. Emergencies, Project Management or Custom Quote..."We Deliver Solutions." You need a competent company who can manage your IT needs and provide a complete solution. We would be proud to earn your business. We help you save money by preventing problems before they start. Hardware failures can result in extended downtime for your organization. Computer Zone can help minimize downtime through extensive analysis. Computer Zone's Preventative Hardware Maintenance Service and Preventative Software Maintenance Service are two ways in which your organization can minimize downtime from hardware and software failure. 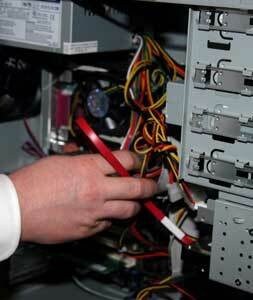 Computer Zone's Preventative Maintenance Programs are designed to reduce hardware failures before they happen. Just as changing the oil in your car’s engine prolongs the life of your vehicle, Preventative maintenance by Computer Zone extends the life of your equipment and reduces the chances of unexpected failures. When you become a Computer Zone customer, a Preventative Maintenance Scheduling System is developed with recommended procedures to be performed during each preventative service call. If you’re using proprietary equipment, Computer Zone technical personnel will work with your engineers to create the finest preventative maintenance plan for your organization. Once the schedule is in place, Computer Zone’s Field Service Technicians will periodically perform maintenance procedures that will ensure uniform and complete Preventative care. 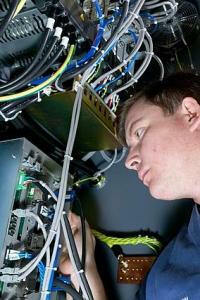 Computer Zone can also conduct physical audits of your equipment during preventative maintenance calls. With today’s virus and spyware applications, communication from the internet can often be erratic. Through our Preventative Software Maintenance Service, Field Service Technicians can monitor your PC, workstation's, and servers at remote locations and quickly determine the cause of a problem. In many cases, these problems can be resolved without dispatching a field technician — eliminating costly downtime. Service requires a Static IP, admin rights to your router and Windows XP, Windows Vista, Server 2000, or Server 2003. Another valuable service offered by Computer Zone allows you or your organization to subscribe to Cox Communications High Speed Internet Service. Call 405.844.5520 for details. Give your organization maximum uptime and seamless communications through Cox Communications High Speed Internet Service and Computer Zone Preventative Maintenance Programs. For more information on Computer Zone Solutions or Preventative Maintenance Programs, please call 405.844.5520. Copyright 2006, Computer Zone Inc. All rights reserved.